The F6 is one of the fastest and most versatile production saws on the market for precision cutting of large ferrous plate metals. It handles materials up to 4” thick with a cutting window of 6’. The backgauge is designed for easier loading of materials between 6’ and 12’ long. The saw cuts ferrous materials easily while holding to the tightest tolerances, and the intuitive design makes it simple for operators to learn and manage. 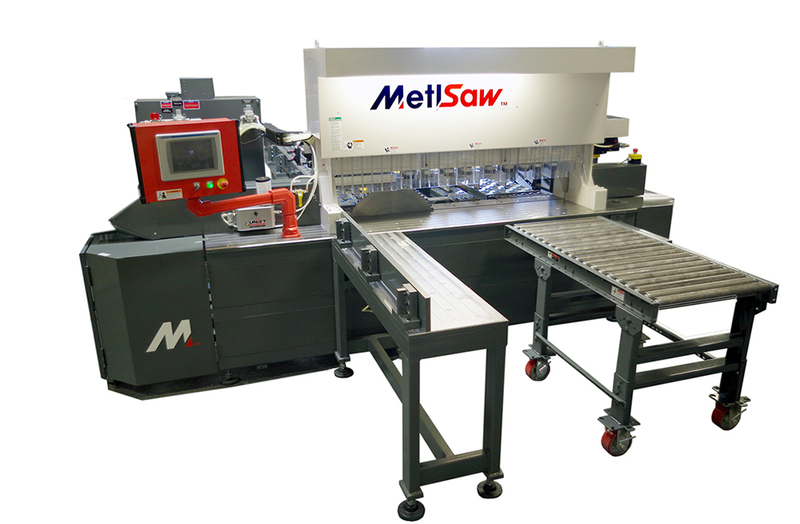 Along with the advanced product features, customers can count on the high level of reliability and safety that are synonymous with the Metlsaw brand.